Diego Minjares Going to State Competion for Science Fair!!! 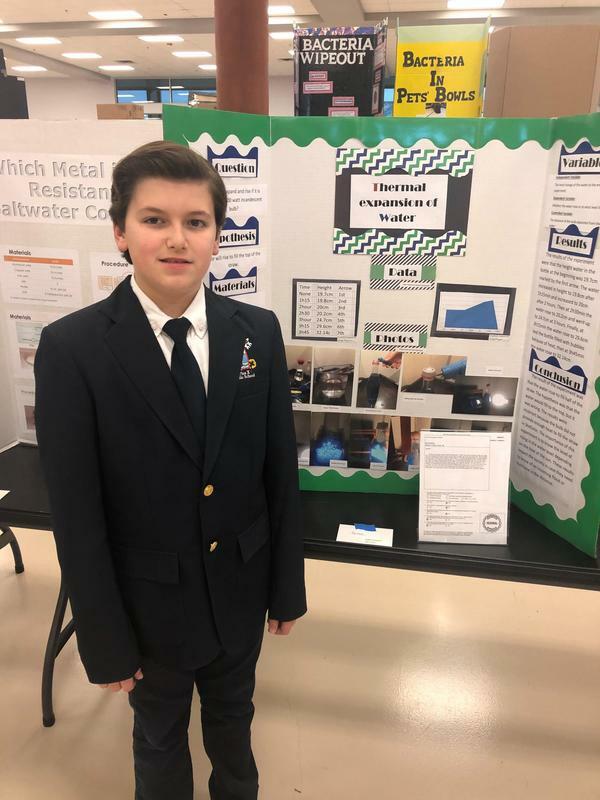 Diego Minjares won 1st place in the Chemical Energy category at the City Science Fair today at Pebble Hills High School representing St. Pius Middle School! He’s now headed to STATE in College Station, TX. 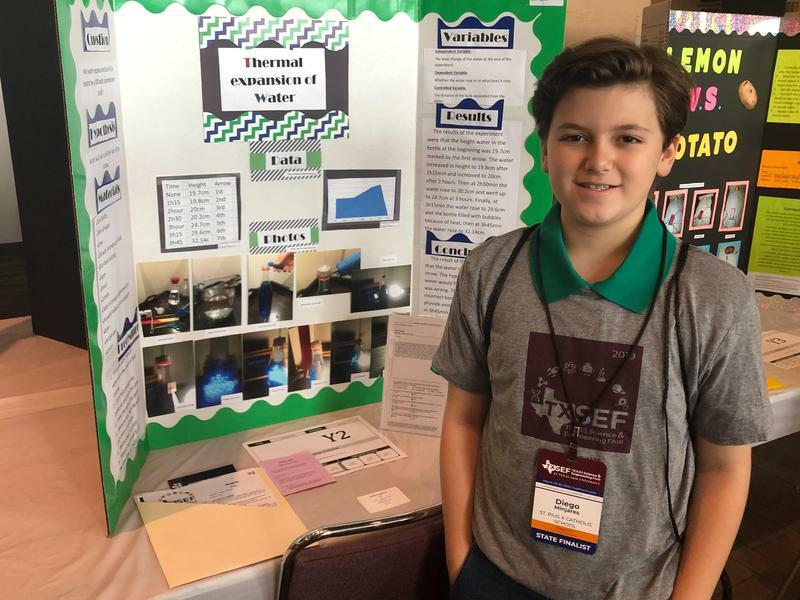 As it stands now this nomination means that his project has already been selected to Top 10% of middle school science fair participants in the nation. Upcoming PTC meeting and a letter from the PTC president. 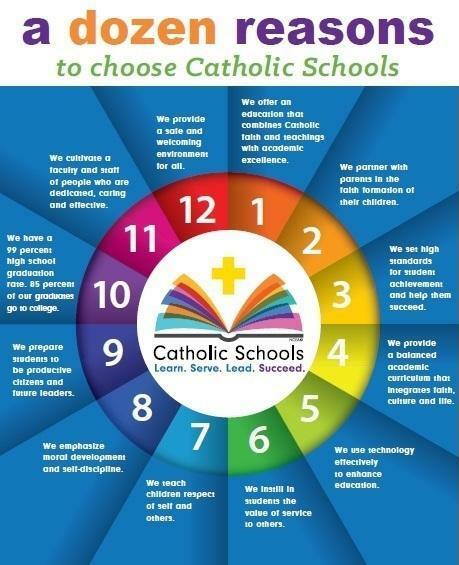 Parents, if you have not, print out and sign acknowledgement letter. Click on this link. 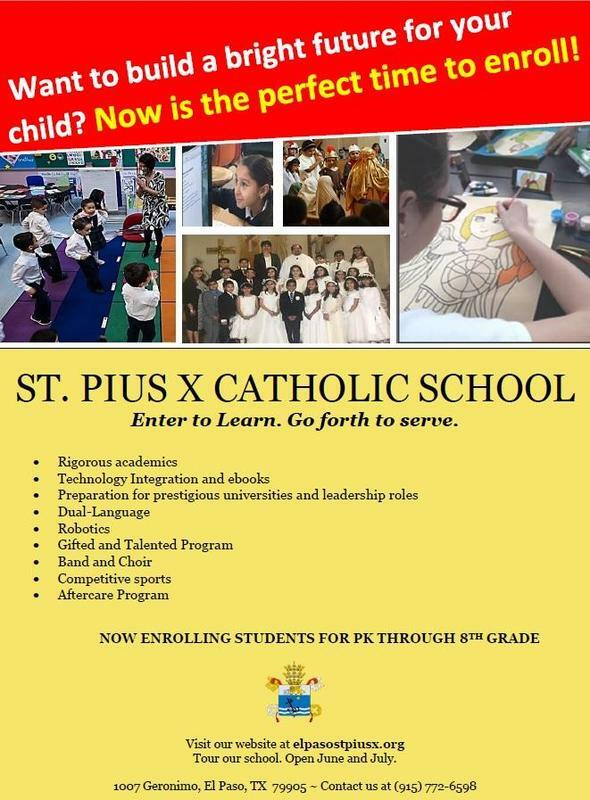 St. Pius X Catholic School Acknowledgement Statement. Please sign and return this form to your child’s homeroom teacher. Thank you! Ms. Martinez was selected teacher of the year at the annual El Paso Diocese banquet.